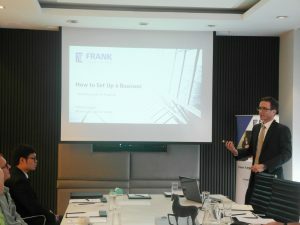 FRANK Legal & Tax will be holding another of our regular free events, designed to support the business community in Bangkok. The upcoming event will provide an opportunity to explore the Board of Investment (BOI) promotion related to the tech industry in Thailand. We will be starting with a big-picture view of foreign business licensing in Thailand. This will be followed by insights into the various BOI categories that are relevant to IT, software development and tech business. In addition, Partner Fabian Doppler will briefly discuss the legal process for start-ups in Thailand.